Splash Design Challenge — This is part of the design challenge that I completed while interviewing with Splash (in May 2015). 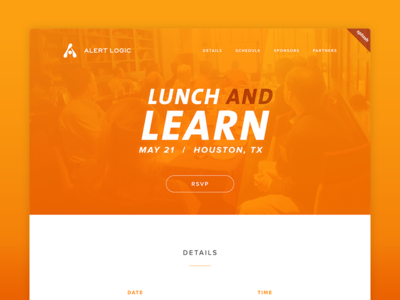 I was asked to design an exciting and colorful event page for a "Lunch & Learn" event hosted by a company called AlertLogic. Press 'L' to show some love! 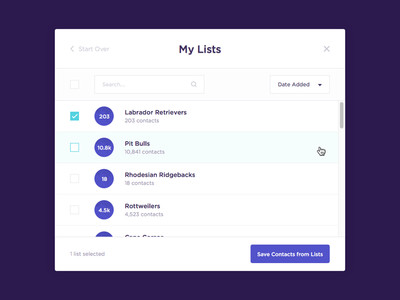 Bulk Contact Adder UI Refresh — While reworking the user flow of Splash's bulk contact adder to make it easier for users to navigate, I decided to give it a UI refresh, as well. I've attached a few screens from the modal. Press 'L' to show some love! 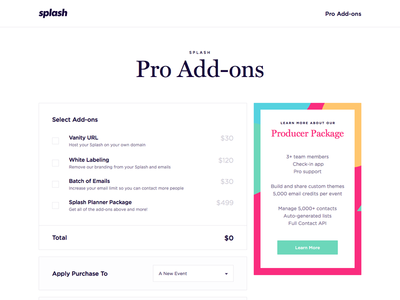 Splash Pro Add-On Page — Whipped up this Pro Add-on page a few months ago. Real pixels attached. Press "L" to show some love! 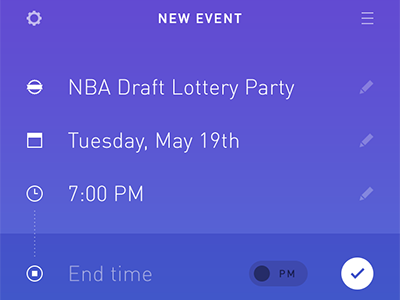 Simple Event Planner for iOS — My Dribbble debut! Thanks so much to Mike Jones (@Bucket826) for the invite. 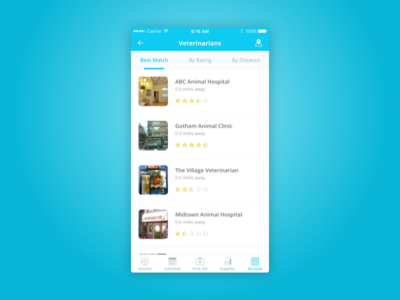 This screen is part of a lightweight iOS event planning app that I completed as part of a UI exercise. 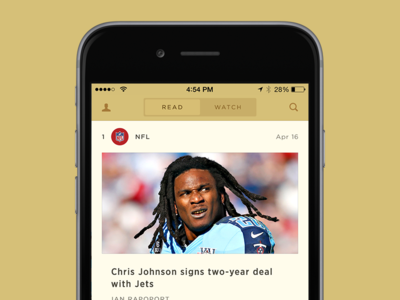 Top News Feed — This is a glimpse of the activity feed I designed for a sports startup I was working on.